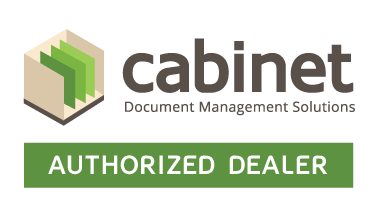 Cosmotronics is New York’s source for industry-leading Cabinet SAFE paperless office software. Available installed on local servers or in the cloud, SAFE is a complete electronic document management software solution, allowing New York organizations to increase efficiency and security, mitigate compliance risks, save physical space and reduce their carbon footprint – all without fundamental changes to existing workflows and processes. By creating a secure, centralized place where all documents are accessed, managed, indexed and shared, SAFE document management software allows businesses in New York to get rid of paper and save valuable time and money. That means you can focus on your business instead of stressing over lost or misfiled documents. Full customization, adhering to your existing business practices and rules. As a result, there is minimal ramp-up time and disturbance to your business – and quick ROI! Out-of-the-box integration with desktop scanners and third-party applications, like QuickBooks. SAFE’s structure replicates the cabinet-folder-document system of paper-based offices, so document storage is familiar and simple for all users. Advanced search features enable users to locate documents by hierarchy or searching a file name or metadata information, resulting in fast file retrieval. Universal document access means users can access documents anywhere, from any device – desktop, laptop, netbook or tablet. Secure, single-click document sharing with external users makes sharing simple. Security settings can be set up on a user-by-user basis and secure, redundant backups ensure that you can rest easy knowing your documents are always safe. How Will Document Management Solutions Increase Efficiency for YOUR Company?